For rent; furnished apartment with beautiful wooden floor, newly delivered living room and kitchen, 2 bedrooms, balcony and possibility of parking permit! 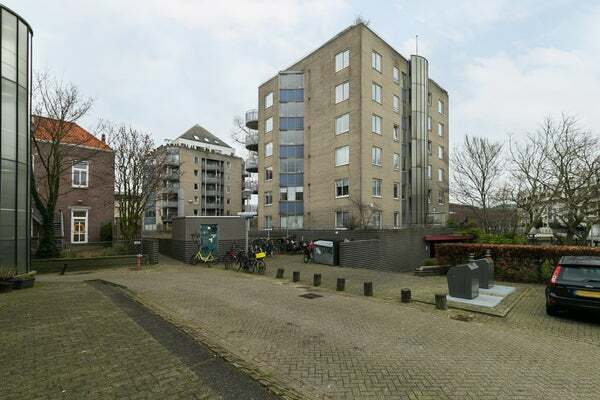 The property is located in a unique location in the center of Amsterdam. Centrally located, yet quiet living. The Nieuwmarkt, Waterlooplein, Stopera, Artis and Dam Square are a stone's throw away. The bustle of Java Square is also nearby, as are hotpots such as Pumping Station, Bathhouse, Wild Boar etc etc. The apartment is very easy to reach by public transport (tram, bus, metro) and the Central Station is a 10-minute walk away. By car you can easily reach the A-10 d. m. the IJ tunnel. There is a possibility to request 1 parking permit. Pets are not allowed as well as smoking indoors. • The property is rented with a lease for an indefinite period. A minimum rental period (> 12 months) is agreed, after the expiry of this period the agreement runs indefinitely. The object is available as of today. The rental price of the upholstered property is € 1,500. You only have to take care of the connection to gas, electricity, water, television and internet. We can arrange this on your behalf. We use as standard that a household must have a gross monthly income of at least 3 x the basic monthly rent. If you are interested in the property, we would like to receive your personal and financial situation. For this you must register via our website.